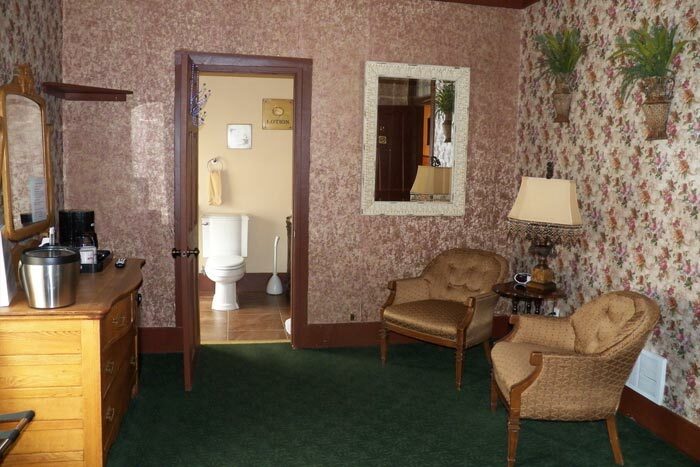 Built in 1884, the Alpine Inn is the only historic hotel in Hill City. All four of our beautiful rooms are above our acclaimed restaurant. 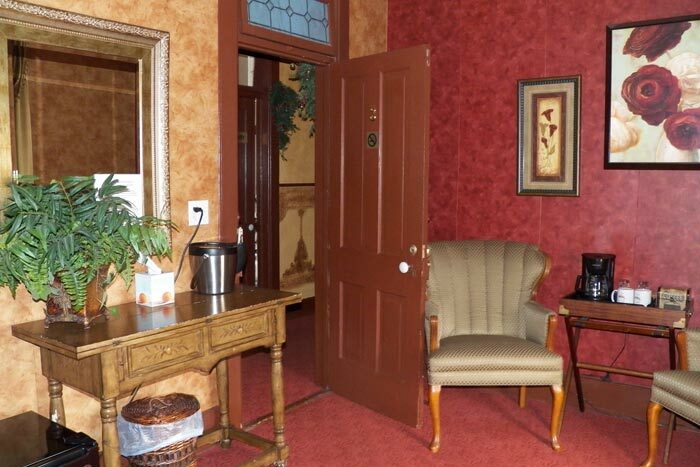 Located right on Main Street, it is a perfect location to walk anywhere in Hill City. The Mickelson Trail is only one block from your room and local bars, restaurants and gift shops surround this convenient location. The historic hotel also has a beautiful large porch where you can enjoy a cup of coffee first thing in the morning or a relaxing glass of wine or beer in the evening. It’s a great place to hang out and watch the town from an unparalleled perspective. 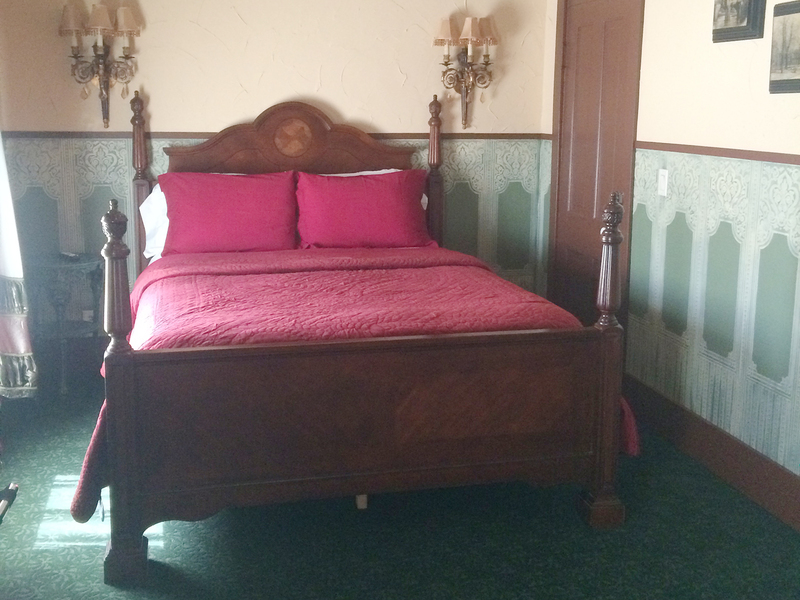 Up our beautiful staircase Room Three is the first room on the right side and is the owner’s favorite room! 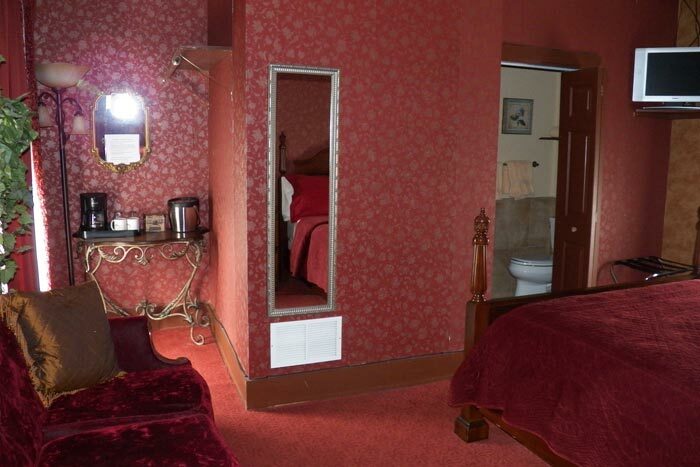 When you open the door you’re welcomed with the warmth of rich red and neutral tones. 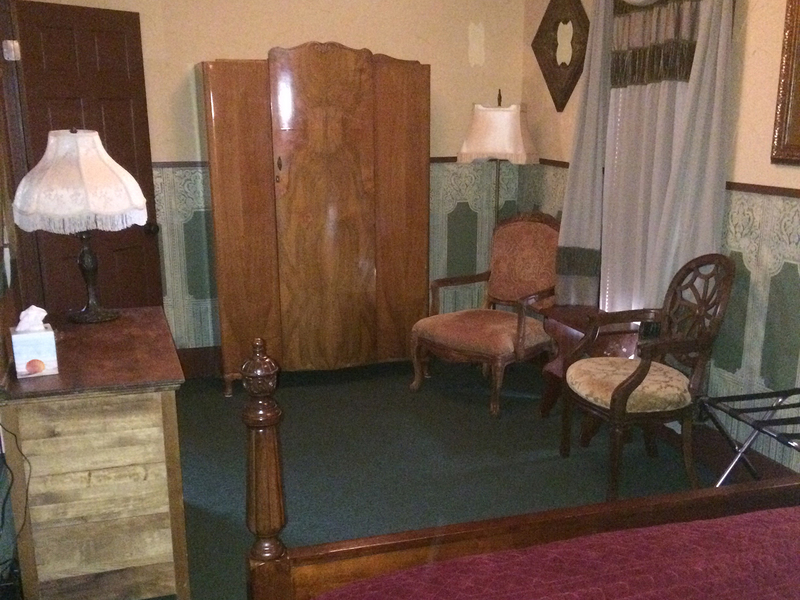 Room Three features a nice sitting area with old world charm and gets great morning sun. 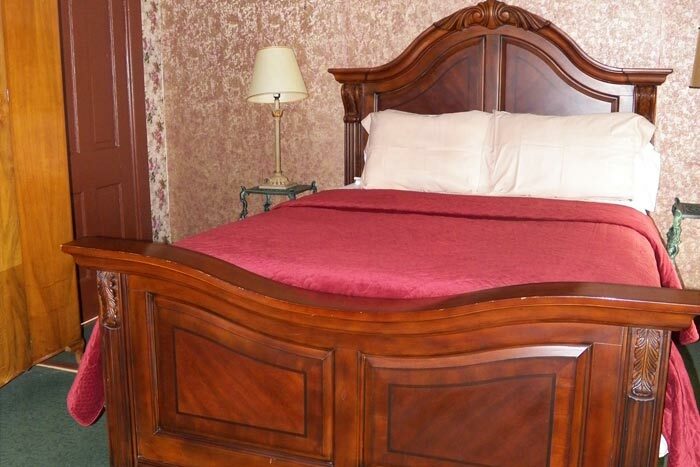 It has a pillow top queen size bed with soft and luxurious linens and your private bathroom is two steps across the hall. 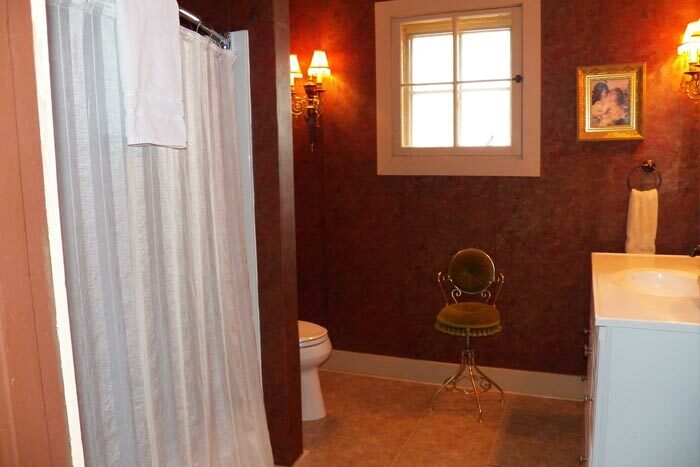 We have soft cuddly bathrobes provided for your convenience. The first bedroom in Room Six is decorated in lush green tones and has an amazing queen size pillow top bed that you won’t want to leave in the morning. 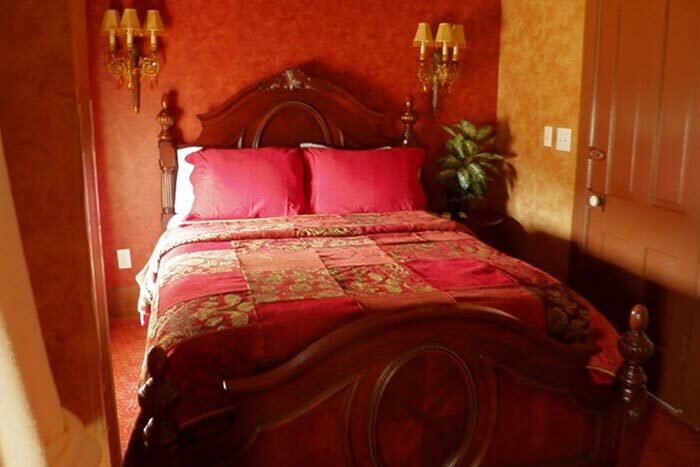 The second bedroom has the same comfortable queen-size pillow top bed with luxurious linens and decorated in rich red tones. Each bedroom has its own TV and are separated by a sitting area with a sofa and chair which serves as a great spot for morning coffee and warm early morning sunlight. 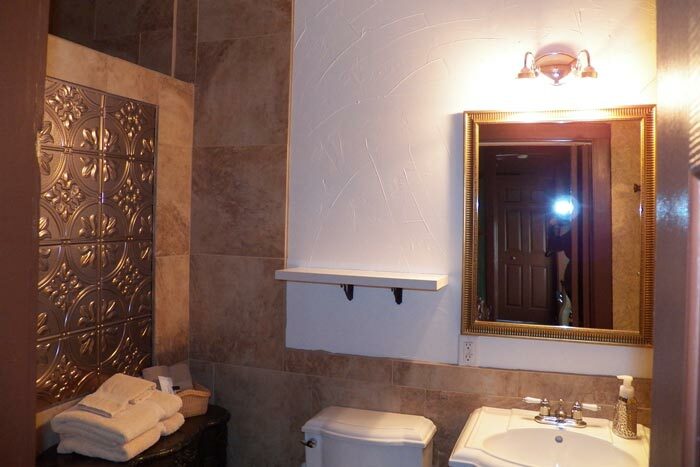 The private bathroom is beautiful with an amazing tile shower. 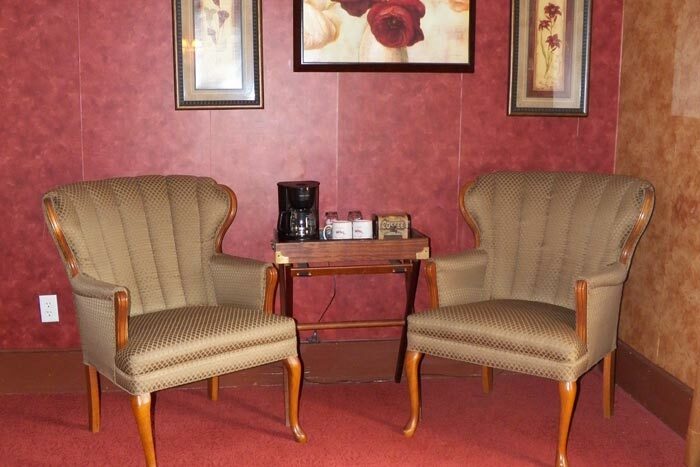 Room Six also has a coffee station and small fridge for your convenience. As you walk onto the carpet of moss green of Room Nine you’ll feel transported back in time to an era of old west Victorian charm. 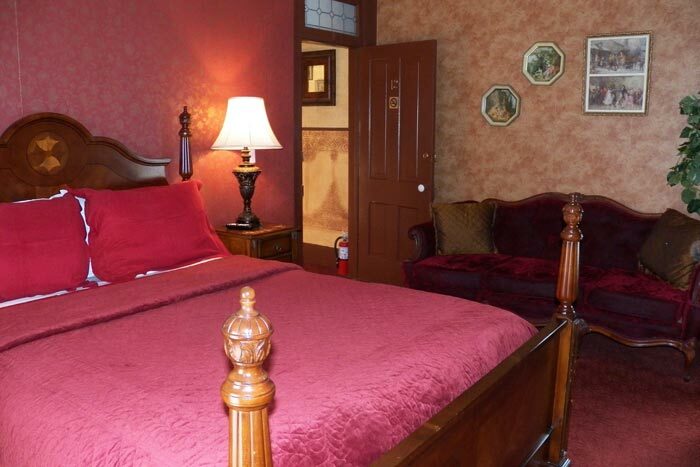 Room Nine features a comfortable queen size pillow top bed and a large antique armoire for your clothing. 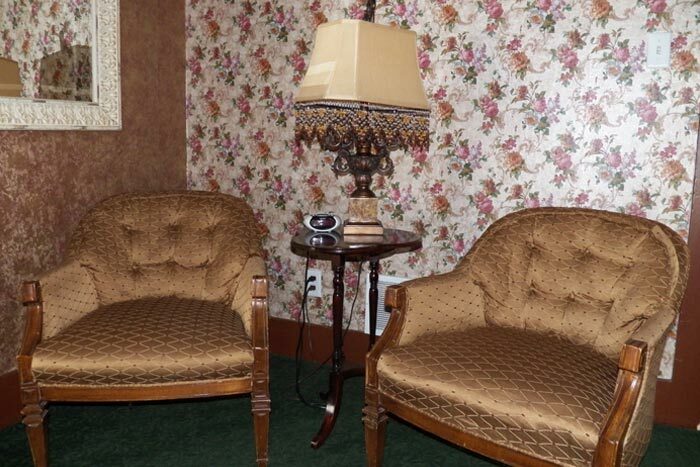 The sitting area has a coffee station and small fridge. The TV can be adjusted to watch from either the sitting area or while lounging in bed. 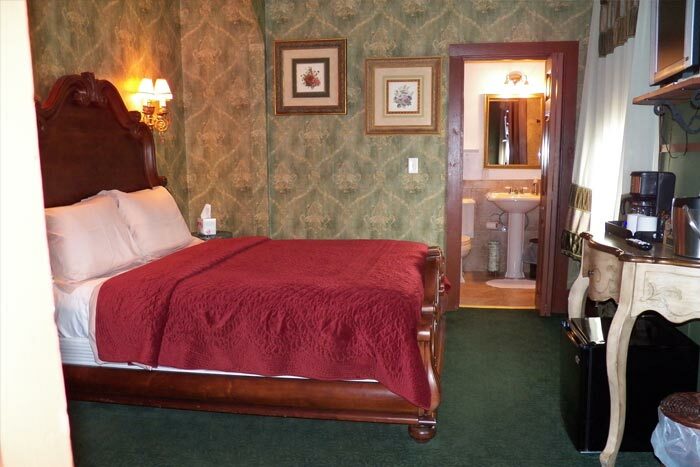 It has a beautiful bathroom with the walk-in tile shower to soothe you after a long hike in the beautiful black hills. When you enter Room Twelve, at the end of our beautiful hallway, the first thing you want to do sink into the beautiful red velvet sofa. 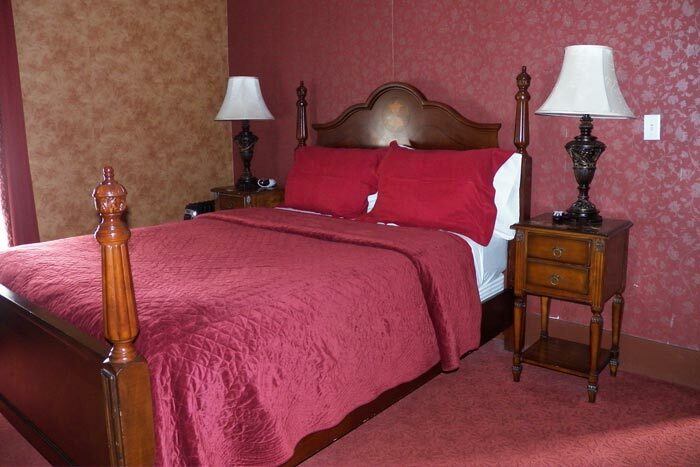 Room Twelve features a queen size pillow top bed with soft luxurious linens, a coffee station and a small fridge. 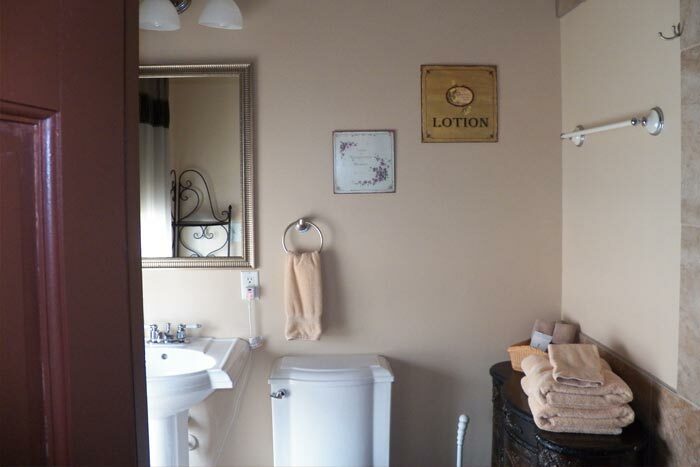 The bathroom has a beautiful tiled shower. While this room is a little smaller than our others, it is just as beautiful as all the other rooms and makes your stay a bit cozy. 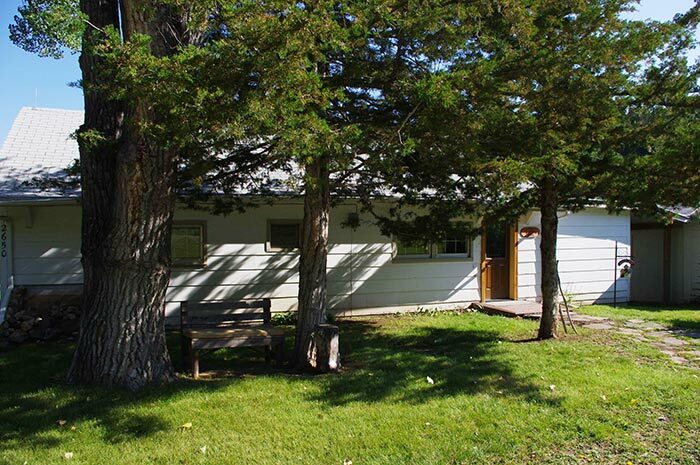 2-bedroom homestead surrounded by beautiful scenery and wildlife. © 2019 Alpine Lodging. All rights reserved.